Disclosure: The reviewer has been compensated in the form of a Best Buy Gift Card and/or received the product/service at a reduced price or for free. All thoughts and opinions are my own. 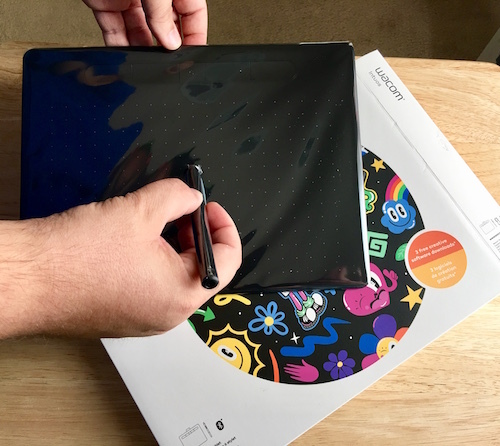 The medium sized Wacom Intuos pen tablet is 10.4” by 7.8” with a nicely weighted and battery-free pen that is capable of producing 4,096 levels of pressure. The Apple Pencil has a battery that has to be recharged and there is no way to replace it without having to buy a new one. That is another positive for the Wacom tablet, you may continue to create without having to worry about recharging a small pen battery. 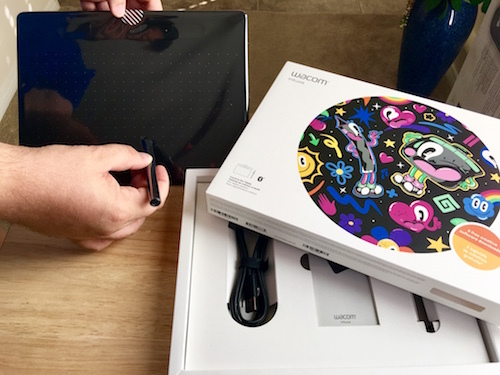 Wacom’s Intuos tablet comes in multiple colors, has ExpressKeys, Bluetooth wireless connection for PC and Mac, and small dots on the tablet’s surface to assist with drawing. The package offers two software packages from the following Corel Painter Essentials (drawing/painting), Corel AfterShot (photo-editing), and or a 2-year license for Clip Studio Paint Pro (comic/manga) after registering the unit with the company online. 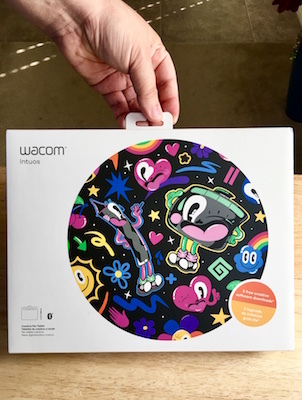 Pen tablets from Wacom are made for everyone, from the beginner to the professional and for those that edit photos, paint or draw. It gives you the freedom of a 4k pressure-sensitive pen that performs like nothing you have tried before. It also becomes the mouse for your computer with buttons on the side. Its large surface area does not create unwanted input while your wrist is resting on it. The Intuos only recognizes input from the pen, giving you a realistic pen-on-paper feel. A tablet this thin is comfortable to create and enhance whatever you want. Left and right-handed users alike will enjoy its ergonomic design. A medium-sized tablet, like the Wacom Intuos, is ideal for creating with multiple or a single, large monitor. My perfect setup is three screens, a wireless keyboard, a wireless mouse and this wireless Intuos tablet. Wireless accessories are the way to go to easily and quickly reconfigure a workspace for creativity. Four ExpressKeys at the top of the tablet are configurable for your favorite shortcuts like copy and paste or undo, right above the creative surface. A Wacom Intuos pen and tablet are a great combination to get creative whenever. 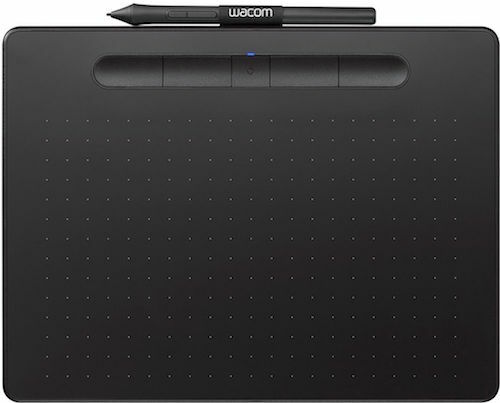 I have found this to be the easiest and most friendly to use of nearly all Wacom tablets over the years. Find it for purchase at Best Buy.